Prosthetics with a realistic sense of touch. Bridges that detect and repair their own damage. Vehicles with camouflaging capabilities. Advances in materials science, distributed algorithms and manufacturing processes are bringing all of these things closer to reality every day, says a review published today in the journal Science by Nikolaus Correll, assistant professor of computer science, and research assistant Michael McEvoy, both of the University of Colorado Boulder. 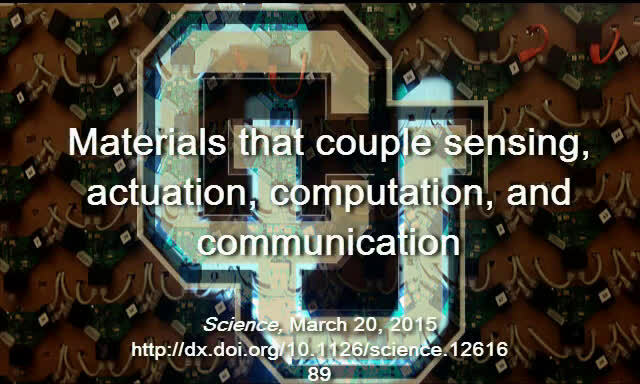 The "robotic materials" being developed by Correll Lab and others are often inspired by nature, Correll said. "We looked at organisms like the cuttlefish, which change their appearance depending on their environment, and the banyan tree, which grows above-ground roots to support the increasing weight of the trunk," Correll said. "We asked what it would take to engineer such systems." Correll and McEvoy use the example of artificial skin equipped with microphones that would analyze the sounds of a texture rubbing the skin and route information back to the central computer only when important events occurred. "The human sensory system automatically filters out things like the feeling of clothing rubbing on the skin," Correll said. 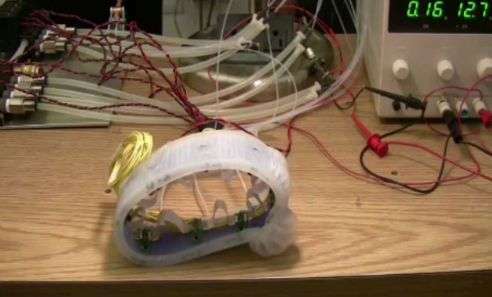 "An artificial skin with possibly thousands of sensors could do the same thing, and only report to a central 'brain' if it touches something new." While all of these materials are possible, the authors caution that manufacturing techniques remain a challenge. "Right now, we're able to make these things in the lab on a much larger scale, but we can't scale them down," Correll said. "The same is true for nano- and microscale manufacturing, which can't be scaled up to things like a building façade." The field also faces an education gap, the authors say. Developing robotic materials requires interdisciplinary knowledge that currently isn't provided by materials science, computer science or robotics curricula alone. At CU-Boulder, Correll is addressing that gap with a freshman-level engineering projects class called "Materials That Think." "We expose engineering students to both materials and computing, no matter what their background is," he said. In the long run, Correll believes robotic materials will be used in everyday items, like shoe insoles that could sense pressure and adapt their stiffness to adjust to walking or running. "While we can imagine such a material consisting of little patches that each include an actuator, sensor and little computer, we have a hard time imagining such a complex piece of technology could ever be affordable," he said. "I think the last 10 years of advances in smartphones have demonstrated the opposite."